Today we celebrate the feast of the Epiphany, which means the feast of Manifestation of the Lord. The lord manifests himself to the gentiles. Today also said to be the feast of the Three Kings who traveled from the east following the mysterious star to worship the King of Kings. Today’s feast calls us to examine our self to how do we recognize the presence of God in others or in events or in a situation which is not so according the way we thought to be. Why the Jewish people who believed very much all that is written in the holy Scripture , could not believe that the babe born in Bethlehem in a stable is their long awaited Savior?, it was very clearly mentioned in the holy book that “you Bethlehem …from you shall spring forth the Savior”. 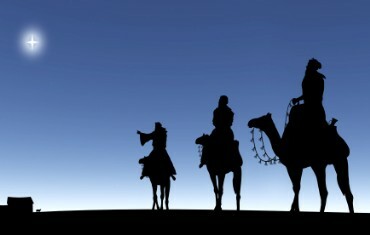 What made the three Kings to trust in that mysterious star and to leave their country and take a risk of a long journey not knowing the distance or the destination as to where the star would lead? Are we not the same like the Jews who fail to believe in the presence of God in all the persons, events, situations that are not according to the way we want to be? Let us pray that this year of faith may enlighten us and bring us from darkness of our own to the wonderful light of the Lord.